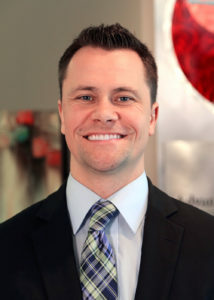 Doctor of Chiropractic Certified in Acupuncture Dr. Drew Woodle was first introduced to chiropractic when he went in with his father and would watch him walk in having pain and after the chiropractor would adjust him he would walk out without. Soon after he himself had trouble always getting hurt and wondered if there was more to it. Little did he know this would be the moment that would change his future. The doctor said there was a curve in his back, also known as Scoliosis. Like so many people his family decided that they should see an MD to get another opinion. After a series of X-rays sure enough there it was, a 15% curve with a good deal of rotation. Then was the kicker. It was found at an age where he was told there was nothing that they could do. So many lessons wrapped up in this event that would fuel Dr. Drew’s passion for chiropractic. If it was found soon enough could it have been prevented? Why did he not trust the Doctor of Chiropractic who specializes in the spine and the nervous system? This motivates Dr. Drew to give the best care and to utilize the power of the chiropractic adjustment and natural healing ability of the body. To trust the knowledge that chiropractors have to truly get people well. It drives Dr. Drew to give great care to people all ages and change the lives of his patients just like his chiropractor did for him and for his family. It made enough of an impact that there are now three members of the Woodle family who are chiropractors. Dr. Drew completed his Bachelor of Arts at the University of Northern Iowa and was active in Sigma Alpha Epsilon fraternity academically and philanthropically. After graduation he moved to Kansas City and worked as business/personal banker for 6 years. However, call to chiropractic was greater than he ever realized. Despite being number 2 in his position at a large corporate bank, the love was just not there. As a young boy his dad always told him to find something that you love to do. You only get one life, and your health and happiness are what is most important. For almost 20 years chiropractic and acupuncture have been an important part of his life. He strives to continue to expand his knowledge in both fields and to inspire others to live a life of wellness.